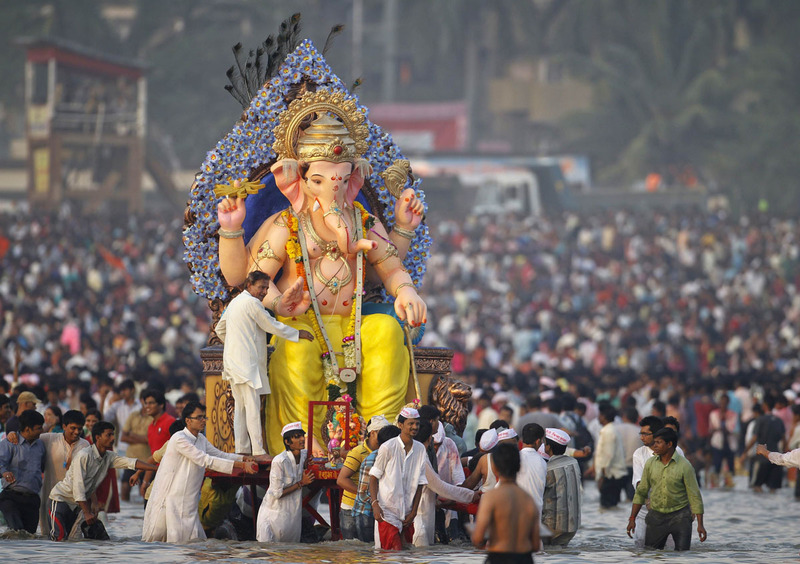 HOME / TRENDING / HOW MUMBAI CELEBRATES ITS FAVOURITE FESTIVAL GANESH CHATURTHI ! Traffic’s getting bad, colour and vigor is in the sky, pandals are filling; at last, it is Monday; and we cannot stop beaming! Ganpati bappa is finally home! Yes guys, Mumbai’s favourite festival is here and we cannot stop rejoicing. There’s this fun-filled happiness everywhere, sweets here and there, the hue of crimson on foreheads, dhols and tashas making their way down the local streets, we might as well go dance now! A festival that fills the city and the state of Maharashtra with a crazy level of enthusiasm and is the most awaited one every year, we have got to say that it has a special relationship the city of dreams! Agree? 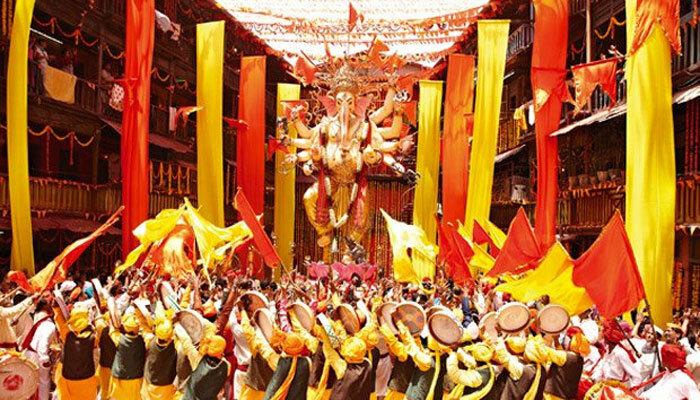 Firstly, what is Ganesh Chaturthi? 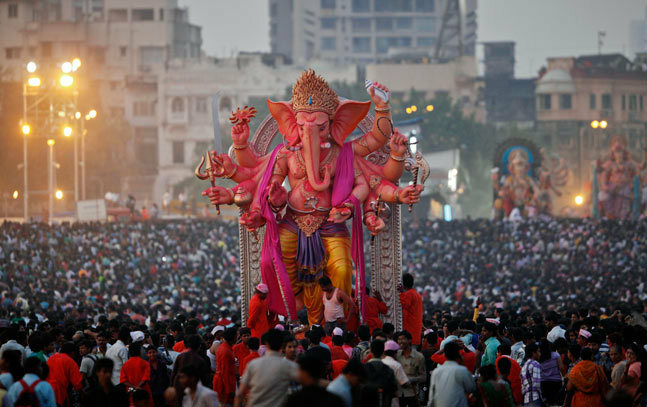 Ganesh Chaturthi is a Hindu festival where a lot of people bring bappa in their their homes and pandals to honour Lord Ganesha and worship him to the fullest. These murtis (idols) are made up of clay (or POP nowadays) and worshipped for either one and half day, five days or ten/eleven days. Some even get the Gauri Ganpati home, which is kept for either six/seven days. The unfixed days depend on the calendar dates which change every year. How does Mumbai celebrate it? 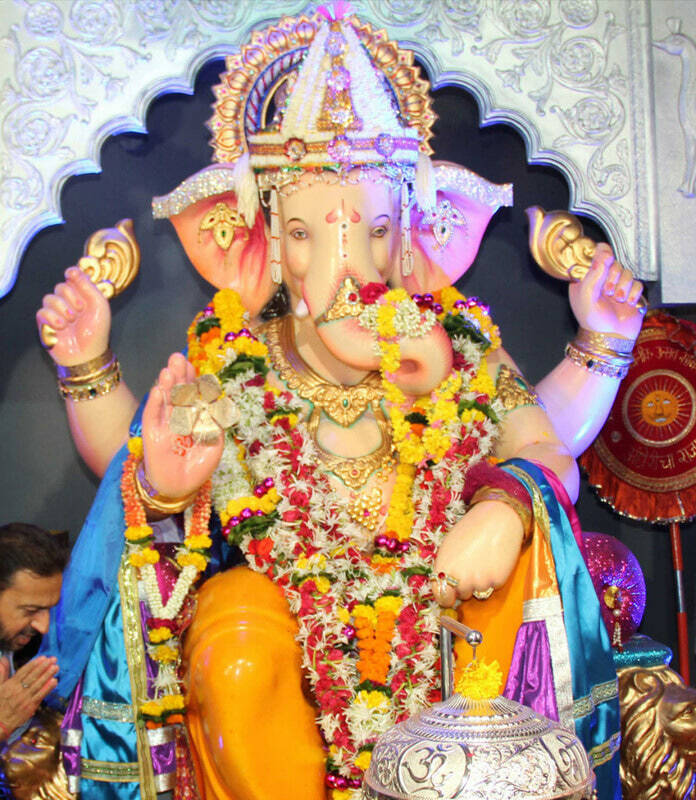 Looking at the atmosphere, it is needless to say that Mumbai is an ardent follower fan of Ganpati bappa. The city literally goes crazy with love, celebration and colours during this period. 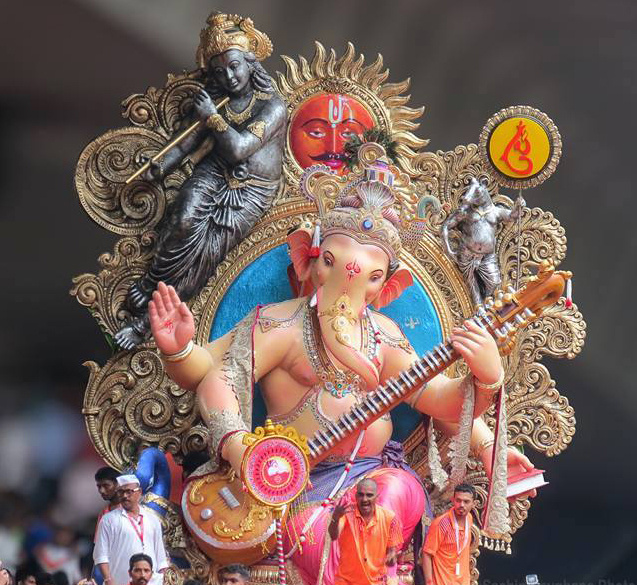 Most of the people who do not have ganpati at their homes either visit their friends or relatives having ganpatis to seek the Lord’s blessings or sit at pandals of their work places, localities, schools or colleges. And those who do have idols at home, well, they have the time of their life! What is the energy like? With the kind of panadals this city has, we can rightfully say that no other place in the world could match up its standards. The dances, the songs, the lazem, the plays, it all happens here! 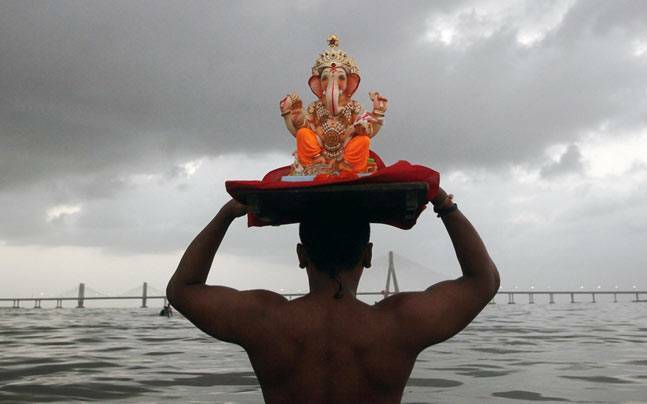 People come to visit Mumbai from far off places just to see bappa and seek his blessings. We have no better example than Lalbaugcha Raja! 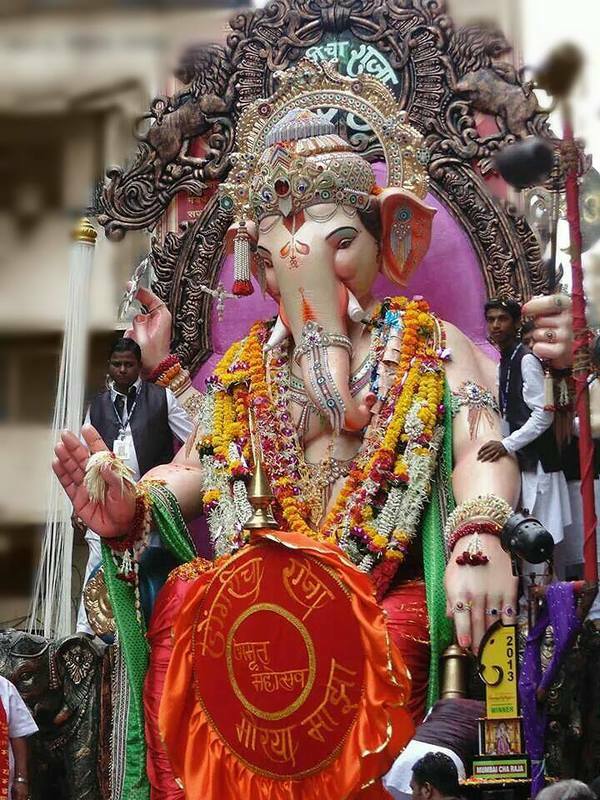 Swarms of people wait in long queues just to take a glance of this Ganesh idol and once you do have a look at him, trust us, there is nothing like it. The idol is absolutely breathtaking! 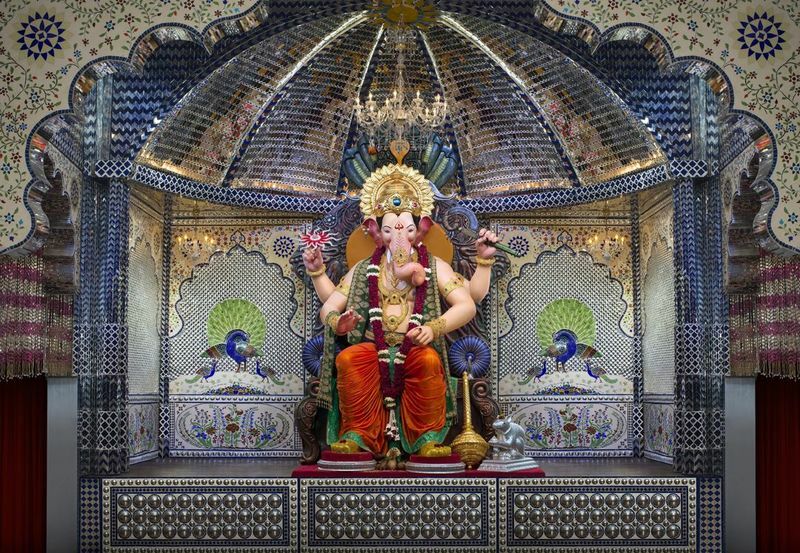 What are the top pandals to visit in Mumbai? 1. 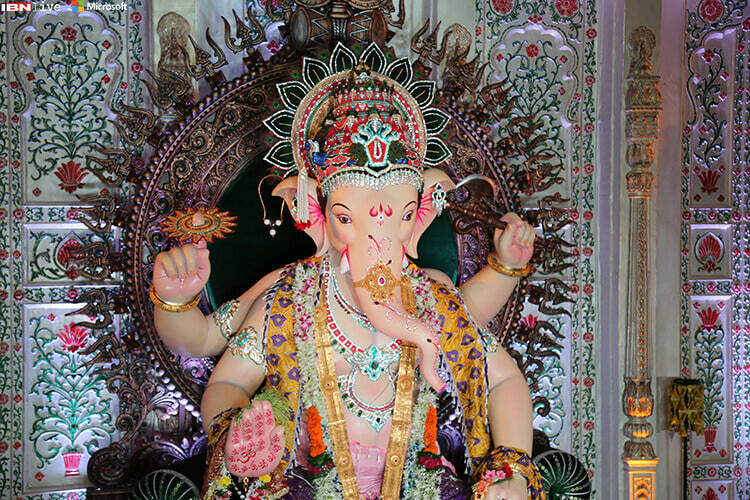 There is nothing, absolutely nothing like the grandeur of Lalbaugcha Raja! 2. Khetwadicha Ganraj, this idol! We haven’t seen one this beautiful ever before! 3. Khetwadi again! 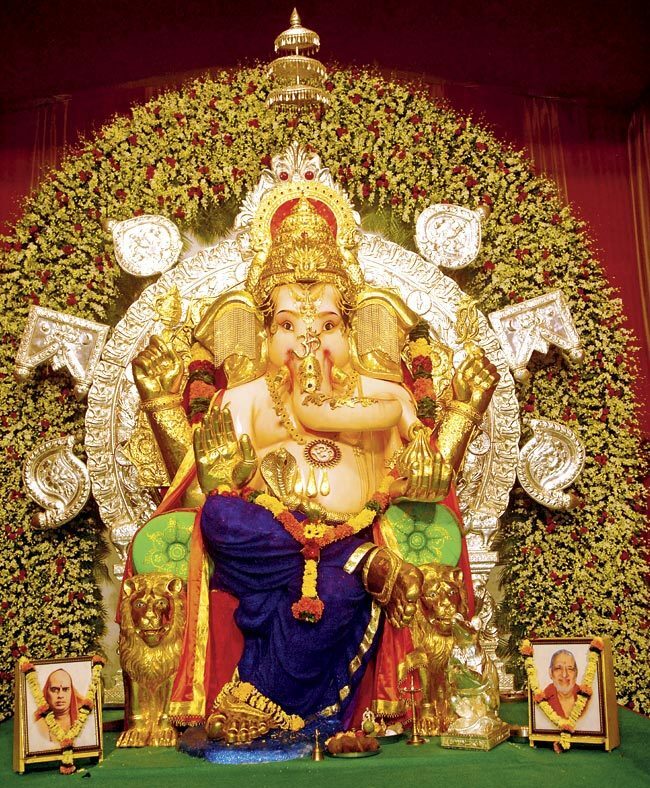 Famous for being the tallest Ganpati in Mumbai, Khetwadicha Raja goes above 12 feet! 4. Mumbaicha Raja is huge again, the signature being his hand, like he is waving and blessing the people of Mumbai simultaneously! 5. 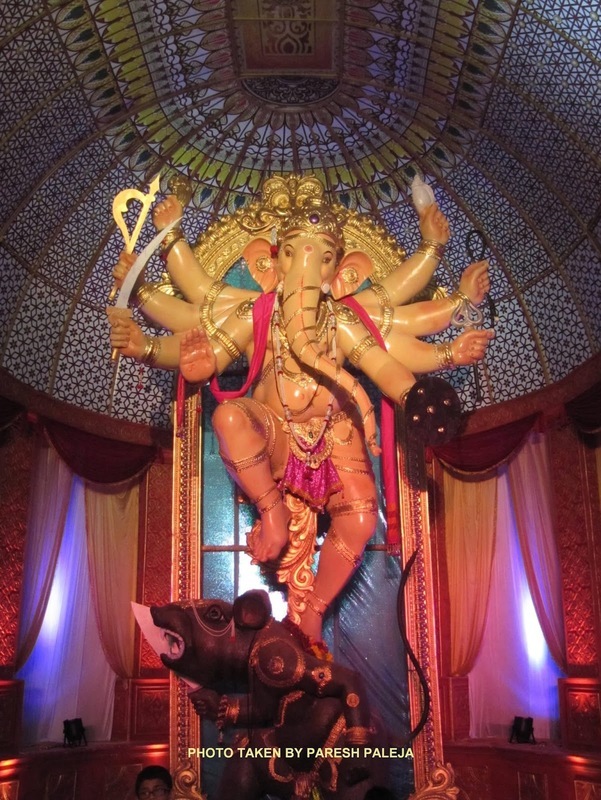 GSB Seva Mandal’s Ganesh is just so different, we literally cannot take our eyes off this one! 6. Chinchpokli cha Chintamani, you see how huge he is? Gorgeousness, gorgeousness and just gorgeousness! 7. Tulsiwadicha Maharja in Tardeo, probably the most creative idol you’ve seen! Are we right or are we right? 8. Dongricha Raja, mesmerized by its beauty, those eyes leave us absolutely awestruck! 9. Nothing’s like the sheen of Andhericha Raja, we absolutely love him! 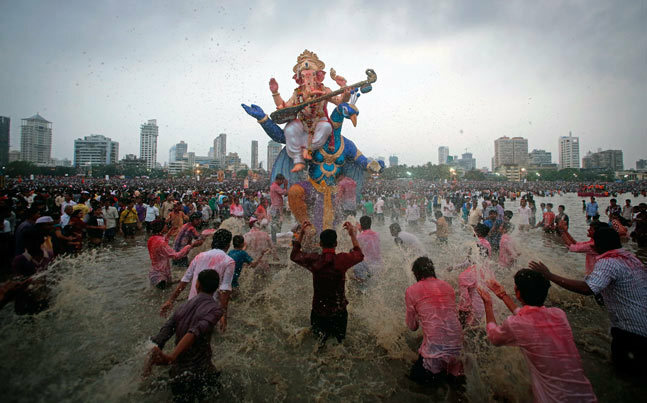 Bappa is immersed into the water after a specific period of time which is called Visarjan and it is seriously heart breaking. But what is even more heart wrenching is when you see half broken pieces of Ganesha’s idol lying down there on the beach, just like that. The sight is so sad, any bappa lover would cry. Bringing the Lord home is not the problem at all. Bringing in idols made of POP and not clay is where the actual glitch lies. And this needs to be taken care of right now to save the city! Trust us, it is not even that late yet. Let us all go eco-friendly and save bappa and the city from pollution!